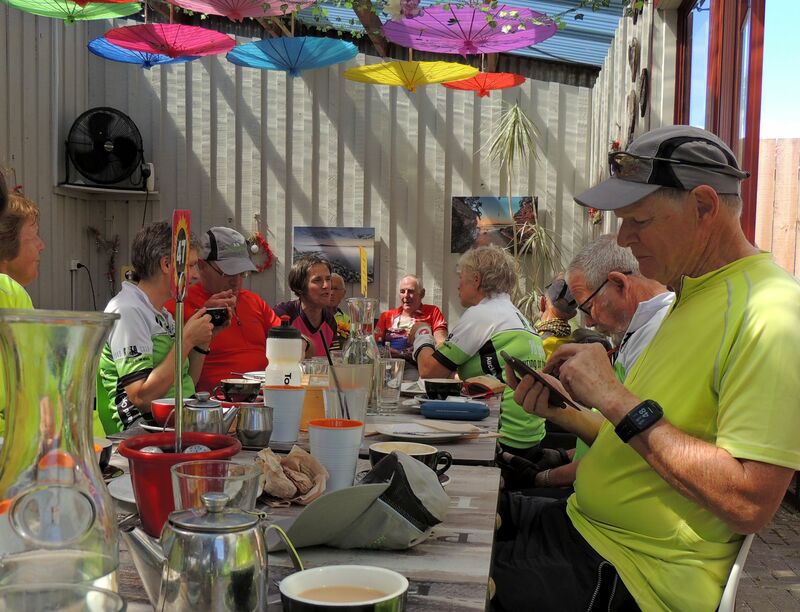 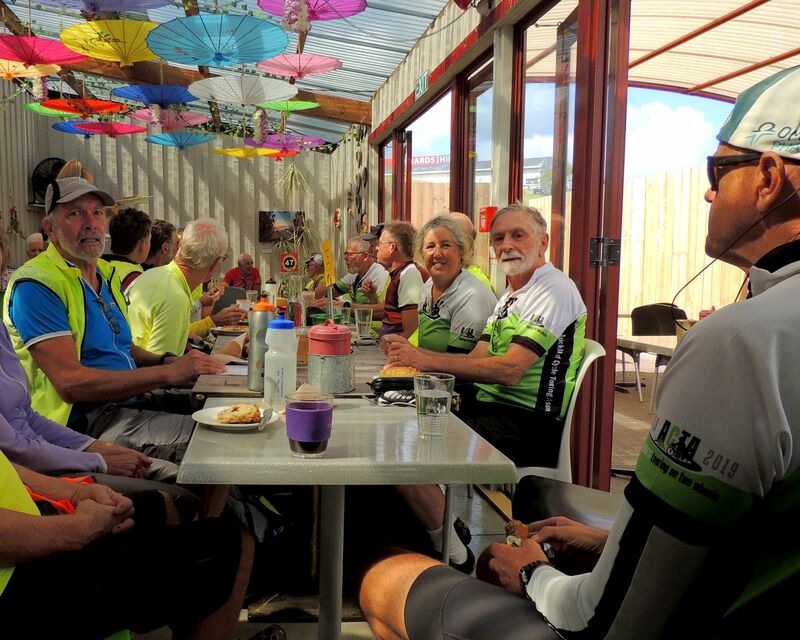 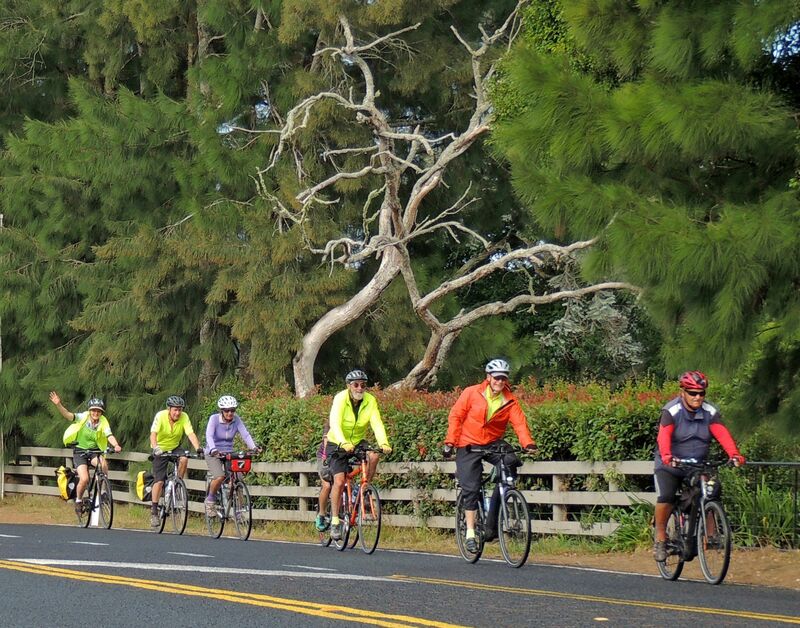 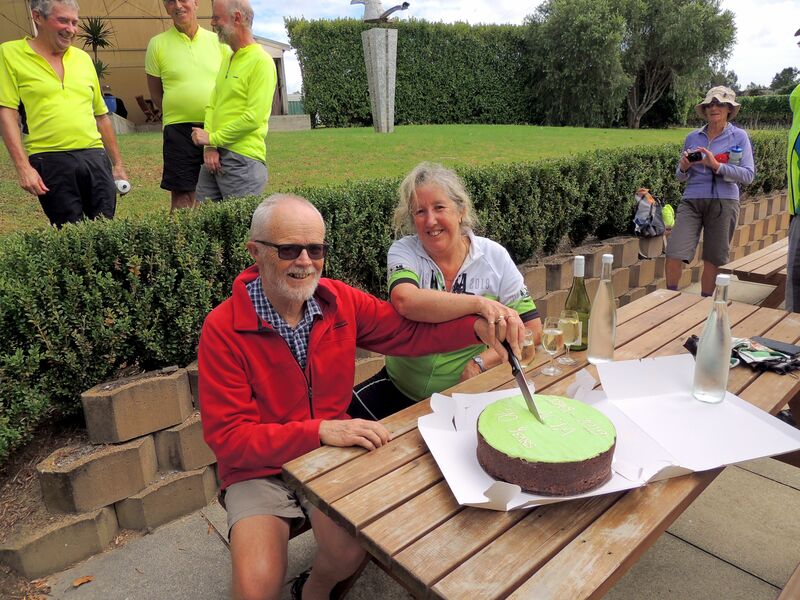 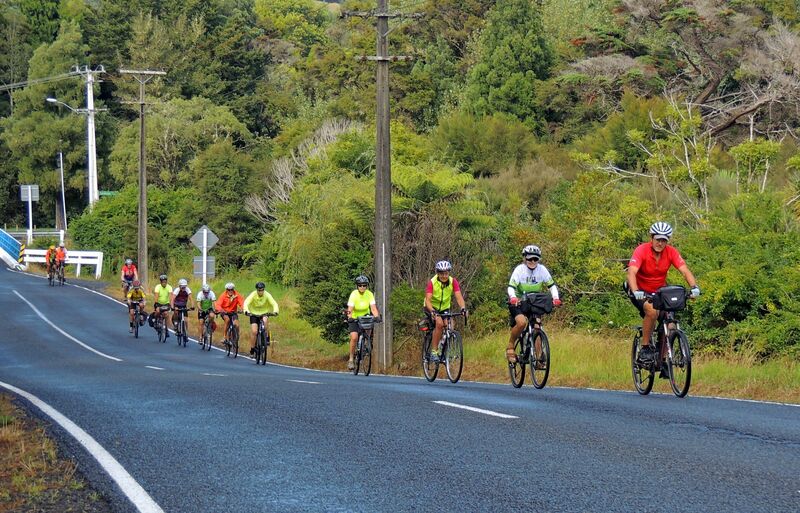 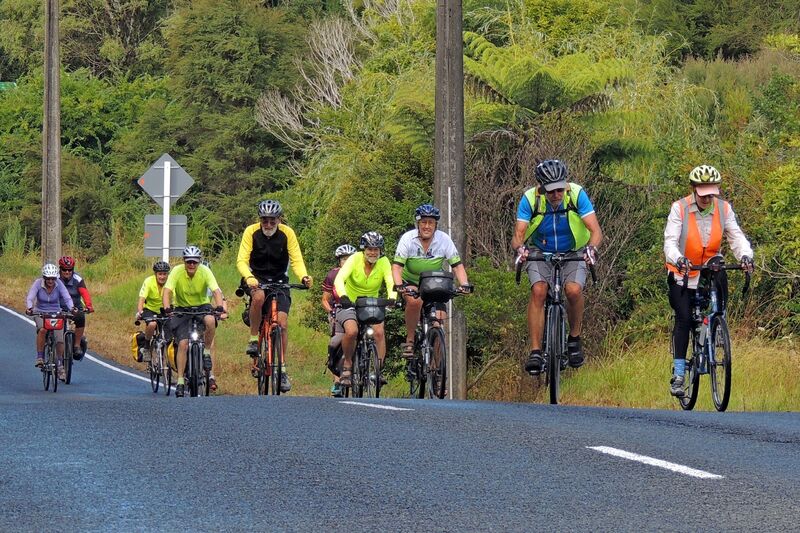 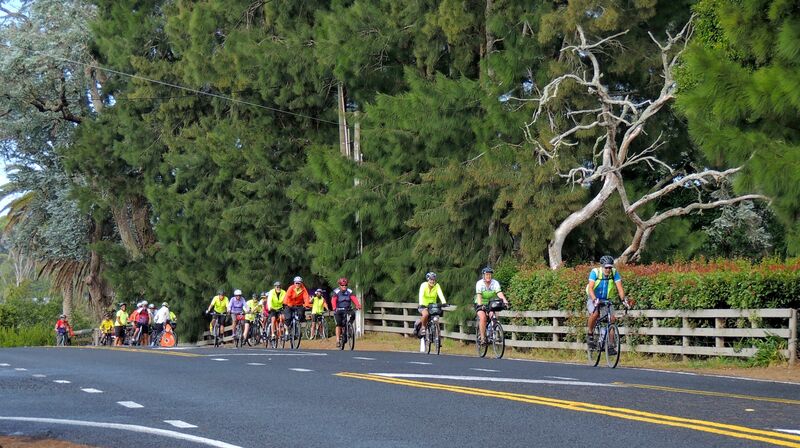 ACTA members participating in the Anniversary Ride at the Kumeu Bakehouse with some wearing the 70th Anniversary cycle tops. 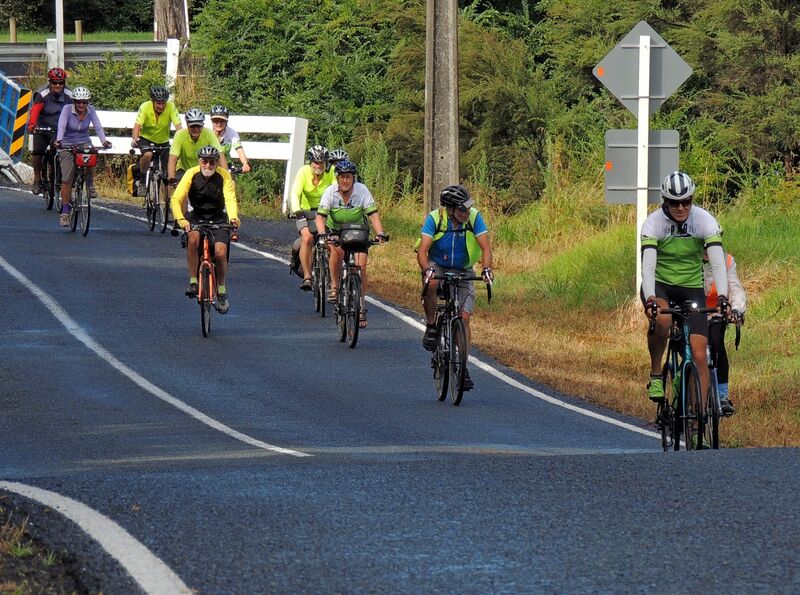 Following Ray our leader for the day,Ray,Annette,Steve,Wolfgang,Stu,Bill,Lyn,Neale. 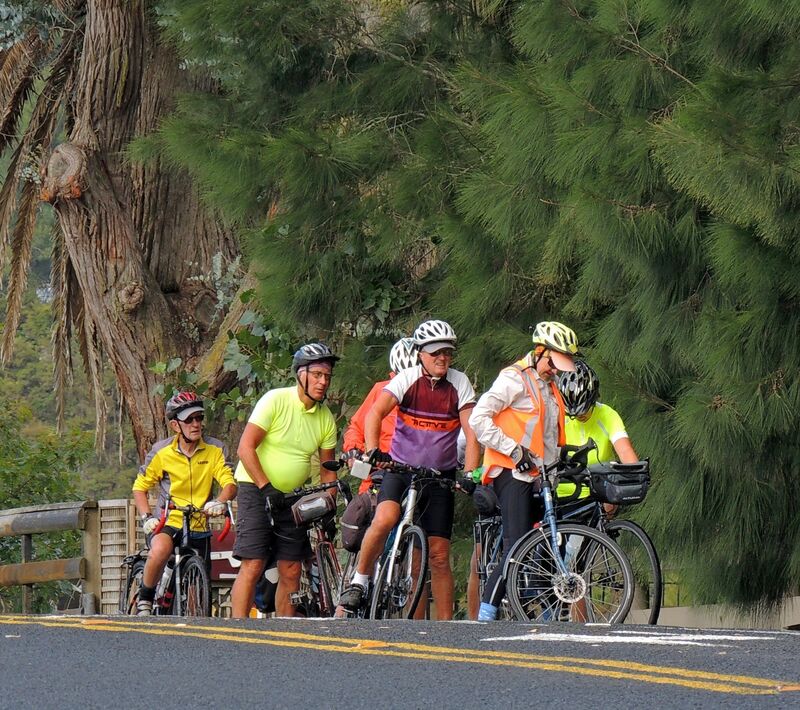 Sunnyside Road one way bridge. 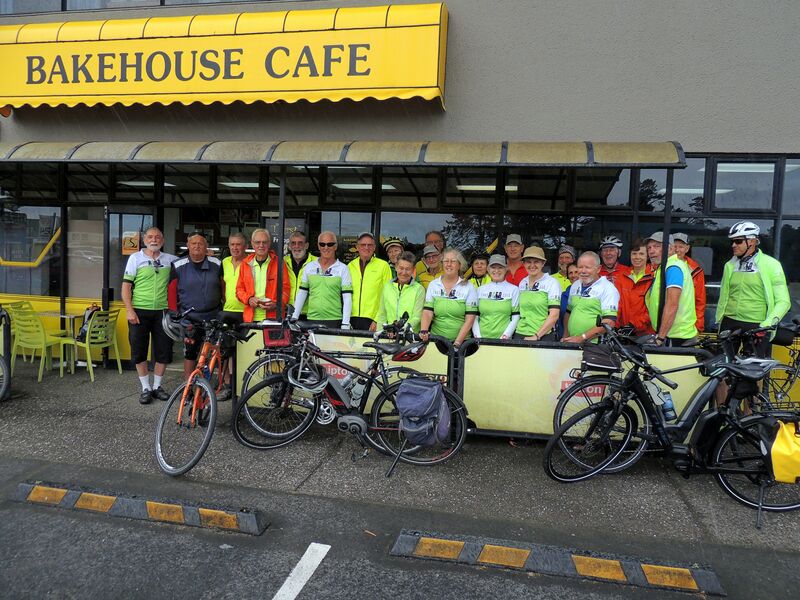 Silverdale Kings Plant Barn Cafe.